Get A Life Women’s Group Ringsend Dublin. I have been invited to a party. A local woman’s group , the so called Get A Life Women’s Group has invited me and all the other tenants here in Cambridge Court to a party in our own common room. It feels quite odd to be invited to a party in your own home by someone who doesn’t live there themselves. It certainly takes quite a bit of cheek and good old hard neck. This is one of the many groups who use Cambridge Court day centre on a regular basis. They are fully aware that while they are having a good time tenants are confined to their one room flats too intimidated to complain. 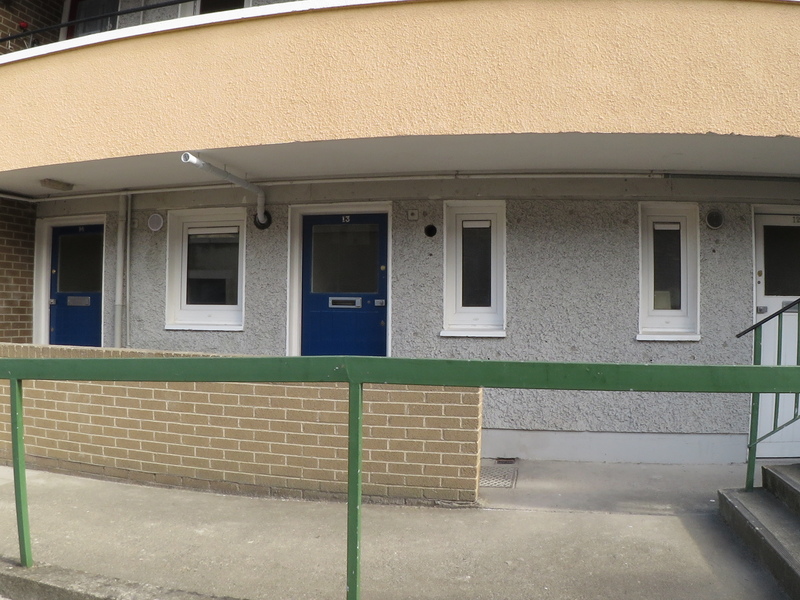 Many tenants have in fact died in Cambridge Court without ever having had the use of this day room. The Get A Life Group are fully aware of this…it has been explained to them that they and several other groups are bullying tenants , that tenants are too intimidated to use the common room / day centre themselves….It has been further explained to them that the only reason they were invited in was as a means of the bullies exercising intimidation and control over the tenants – and , by the way , this policy has been very successful. These people are BULLIES. They are no better than any lowlife street thugs and probably do far more damage to old and vulnerable people. It is over two months or so since I last posted anything here. Nothing has changed …….the bullies are still running the place. No one cares. I am , I suppose , wasting my time but what else is there to do ? Is there anyone out there actually reading the blog ? It is just gone 1:00 am and I’m sitting in the common room in Cambridge Court. I have a hundred things to write about but I’ve said them all before…..And so here I am staring at a blank page on my laptop with nothing to say. As it says in the good book , “There is nothing new under the sun”. And there is certainly nothing new in Cambridge Court. Here is a short video clip of the common room in Cambridge Court. As you can see it is actually a snooker/bingo hall and it attracts the kind of people you expect to find hanging around a snooker hall. It looks like a recreation room in a borstal but as the tenants have been bullied out of using the place I suppose it doesn’t really matter. The music playing in the background is the Shadows , “The Frightened City” which is quite appropriate……..I brought the record player into the common room a few months ago and set it up in a nice spot with some LP records but was told I had to move it as it was in the way of the bingo crowd ( this bingo crowd don’t actually live in Cambridge Court). These thugs run Cambridge Court under the protection (and encouragement) of Dublin City Council. Sheltered Housing Bullying the story continues. It is several weeks since I last posted anything on this blog. Nothing new has happened – just the same old misery – and to be honest , I’m tired of moaning……I only have one excuse and that is that if I did not moan I would go mad or perhaps I might have killed myself by now. Nothing has changed. The bullies are still running the show. The great and the good are looking the other way. I wonder from time to time why I even bother to continue with this blog……but I don’t wonder for long. The simple fact is that this is a chronicle of bullying…It is a story that needs to be told and I am the only one to tell it. There are no other blogs like this on the web – this is the only blog that deals with the bullying of old people in sheltered housing or indeed anywhere else for that matter. Google ” old people , bullying ” and mine is the only blog you will find. It is unique. It’s a one-off. And so , for better or worse , here it is and here it will remain. Sometimes I look back at what I have written and feel embarrassed at the poor quality of the writing but I never edit it. It may be badly written but it has the virtue of being honest. It is also true. And besides, I’m not here to impress people. The only reason I AM here is so that no one will be able to say that they didn’t know………that is , after all what they always say , isn’t it. It is exactly 6 years and 6 months since I first moved into Cambridge Court. I doubt if I will live for another 6 years…….. It is two weeks since I was offered a transfer out of Cambridge Court to a place that was probably no better and perhaps a lot worse. I don’t have time on my side. I’m not going to live forever. I’m getting older by the minute……..and I do feel old. And so , that question that Lenin asked , “What is to be done”. Do I just give up , let the bullies have their way and resign myself to spending my last few years ( or months) living a life that’s not worth living. That’s a rhetorical question. Such an option is no option. So , what IS to be done ? Every day I think of the bullies. Every minute of every day I think of those bullies. I will think of them right up to the very second that I die. And I think of the thugs in Dublin City Council who willfully and deliberately support those bullies in each and every act of bullying and intimidation. I have nothing else to do but think. I am not going away. I’m not giving up. 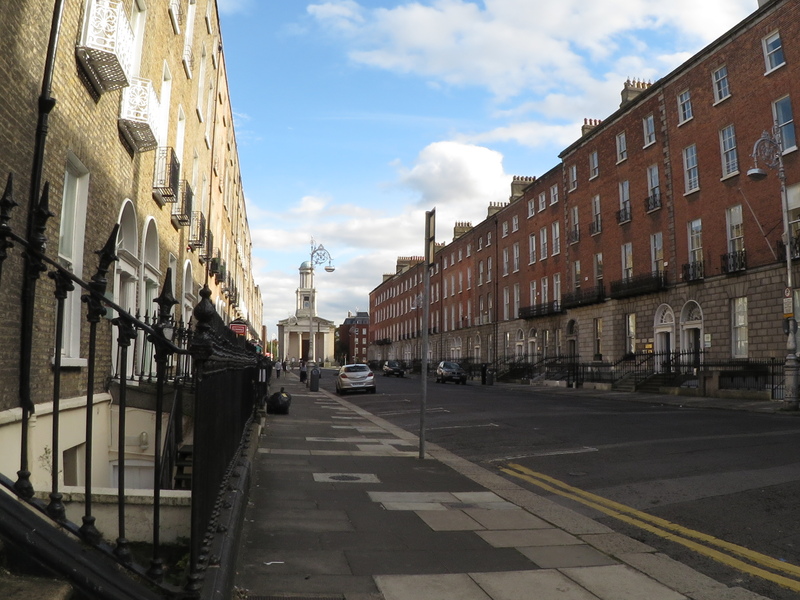 I’m watching……..
Last Monday I received a letter from Dublin City Council offering me a transfer to a new flat. It is in a nice location just a few minutes from the Peppercanister Church and the National Gallery of Ireland. Unfortunatly the flat itself is just the same as the one I am living in at the moment. It is a one room flat with absolutely no aesthetic appeal and is typical of the sort of housing that is offered to those on the public housing list. The only reason I was offered this was that the local Gardai put some pressure of the council to get me out of the hell hole I’m living in. Of course this new flat might turn out to be even worse than Cambridge Court which is why I did not take it. It really is a pity as the neighbourhood is really nice. A few days ago I got yet another letter from Dublin City Council. I did not read it as I’m sure it’s not a letter of apology on their part for the years of intimidation that tenants in Cambridge Court have had to suffer. But it seems likely that they will evict me. I don’t know how long this will take but I imagine it will be a couple of months or so. At my age being evicted would be tantamount to a death sentence. It is quite impossible to get an affordable flat in Dublin just now and if your old and working class then it is probably pointless to even try to find somewhere. There are of course homeless shelters and hostels but these are not the sort of place that any normal person would want to live in. So if I was evicted it would just mean that I would have to live on the street. At my age and in my state of health I would not last very long -perhaps a couple of weeks but not much more than that. Funnily enough none of this is any surprise to me. When I first made an official complaint of bullying to Dublin City Council about a year ago I knew that eventually it would come down to this. Every victim of institutional type bullying fully understands that if they push the issue then it’s only a matter of time before they are turned on by the very people who are supposed to be protecting them. Most victims just suffer in silence and die before their time. Obliviously I’m not happy about this situation that I am in but there are worst things than dying…..and we are all going to die at some point so it might as well be now as any other time. Fear is a very potent weapon and bullies and their protectors thrive on it. As a weapon it works very well …..unless that is , you overplay your hand and push people too far. And if you do push people too far have they a moral right to hit back ? Have they a legal right to hit back ? This is a perfectly legitimate question. It is a perfectly reasonable question to ask and the fact that some people may not be happy that this question is being asked does not alter anything. This was one of the questions raised by the Nuremberg trials.